CONGRATULATIONS to all lucky winners! What a great holiday gift to receive for each and every one of you. Great news that the 2018 Zenyatta Celebration was such a success for the Retired Racehorse Project, too. Thanks, Team Z, Lane’s End and the magnanimous, magnificent Queen Z for being so wonderful! By the way, that is a fabulous photo, Karen Klein! Simply gorgeous — you have certainly captured the “It” factor possessed by beautiful Zenyatta. So expressive. Bummed I was not picked, but congrats to everyone. So glad I got to see Zenny with my own eyes in the paddock at Hollywood Park, as it made me gasp with feeling. Thank-you for that. Congratulations to ALL the winners! Merry Christmas and a great 2019 to all Team Z, Zenyatta, Coz, Ziconic, 17Zand all Zenyatta’s fans! PS: As Marshall said, that is a gorgeous photo of Z.
I have a question! Do you accept homemade gifts (like handmade afghans)for part of the auction? I’ve learned How to make afghans and although mine aren’t equine related…I learned how to make these to help support my therapy Ranch where I ride for their benefit dinner each fall. 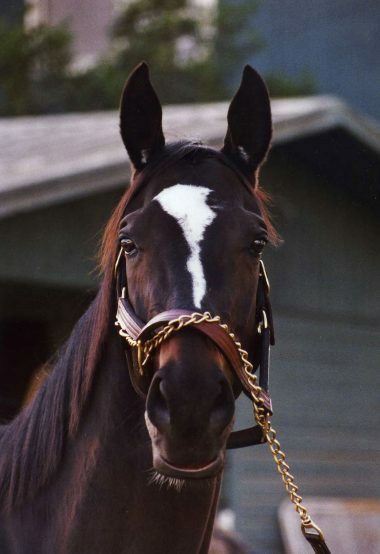 Zenyatta is so beautiful… How i wish to be able to meet her in person. Congratulations everyone! Christmas came early for you! We ALL got the early Christmas present of that stunning photo of Zenyatta at the top! Goodnight everyone. Love the photo of beautiful Zenyatta! Warm wishes to Zenyatta, her handsome boys and beautiful baby girl. Just imagine what a beautiful family photo they would have! Congrats to all the winners and the money raised. Thank youTeam Zenyatta for all you do and your love of Zenyatta and her babies. Merry Christmas to all. Thanks for sharing this news and congratulations to all the winners! The photo of Zenyatta is stunning and definitely deserves to win! The proceeds raised for the Retired Racehorse Project are going to go far in helping promote the Thoroughbred. Thank you!! Some wise words from our Teddy and Walt Disney.Enjoy yourself at Olympia Ted. Enable’s half sister breaks her maiden on 2nd start I think.Entitle is trained by John Gosden. Congratulations to all the winners, Christmas has come early !! Beautiful photo of Z, she looks stunning. I was just thinking of Zenyatta and wondering if Santa was going to visit her…has she been good?….silly thought-of course she has been good because she’s The Best! ha! I came here to check on her and I see all the lucky winners of all-things-Zenyatta. Congratulations to all of you and congratulations to all of us because we get invited into Zenny’s world. Merry Christmas Zenyatta and all of Team-Z! Beautiful picture of the Queen. Coz loves his Christmas greetings.Zenyatta is filled with joy to see her first-born so happy with Isabela and yes she does know about his life now! Wrong video in other link.Try this. An awesome picture of Zenyatta, congratulations to Karen on capturing such a beautiful look. it is similar to the “Racing Royalty” picture without the shadow roll but in Karen’s photo Zenny is looking right into the camera. I would like to add Karen’s photo to my collection of living room decor. Great to see a post from you, Brenda! Yes, I love that photo from Karen, too. Hope you have a lovely holiday season filled with joy. All the Best! Oh no, how sad. RIP Champs Elysees. Really happy for all the winners to see Zenny but can’t help to wish it was me. Love her so much and really would like to see her before I get to old!! Would like to visit Lanes End too. Maybe one day soon or whenever. Try again next year. Love you Zen and all your family. I have missed you all. Fell and injured both my knees. Getting around much better now. That photo of Our Queen brought tears to my eyes. What a treasure and blessing she has been. Hope everyone is well. Merry Christmas and Happy New Year. Good to hear from you.Wishing you a very Merry Christmas and a Happy 2019.Glad you’re recovering.Love and hugs. Congrats to all winners. Enjoy your visits and treats. I think the T-shirts turned out just great. Stunning picture of Queen Z. Thank you Karen Klein for sharing your picture with her fans. Congratulations to all winners!